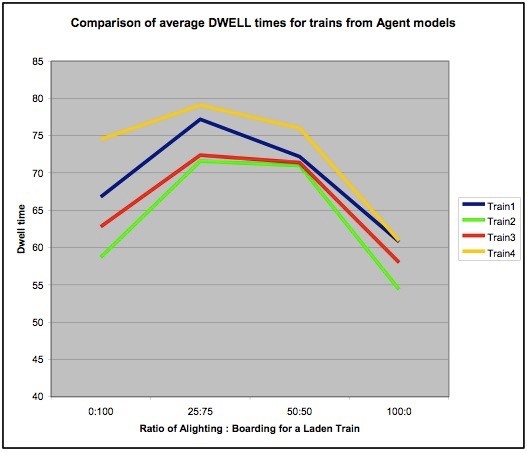 Agent based simulation system that allows the train�operating company to assess Dwell times under a�wide range of normal and high density situations. 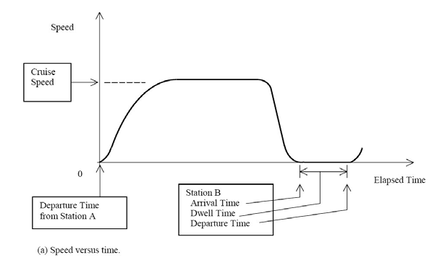 About the simulation system :�Agent based models allow the user to set the number�of boarding and alighting passengers to test DWELL�time. The simulation produces a wide range of�outputs. Agent data� � � � - Saved for numerical analysis. 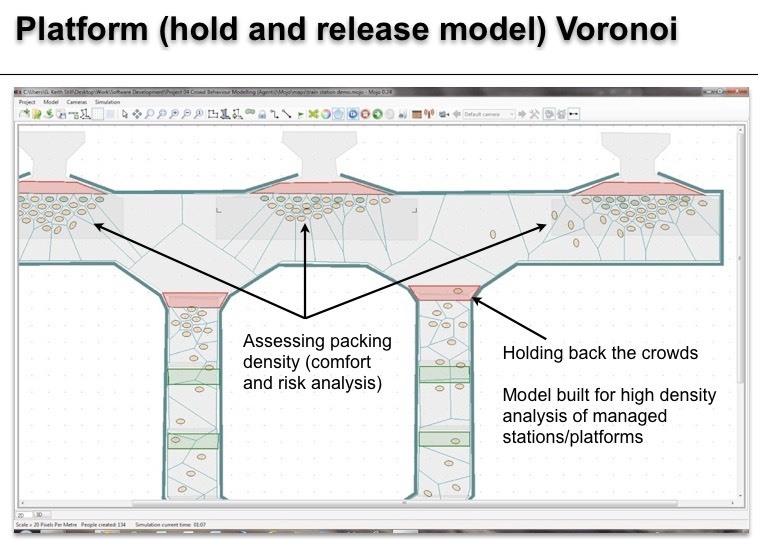 The modelling system allows the user to quickly�change the geometry of both the train and/or the�platform configuration. Assessing four different train configurations for the non-linear Dwell time. Numerical and agent based models were applied to the validation/modelling exercise. 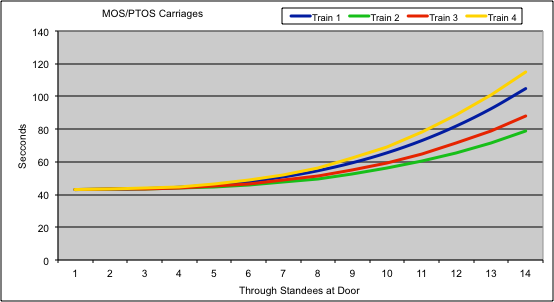 Evaluating the boring/alighting ratios for the DWELL function (four trains tested). 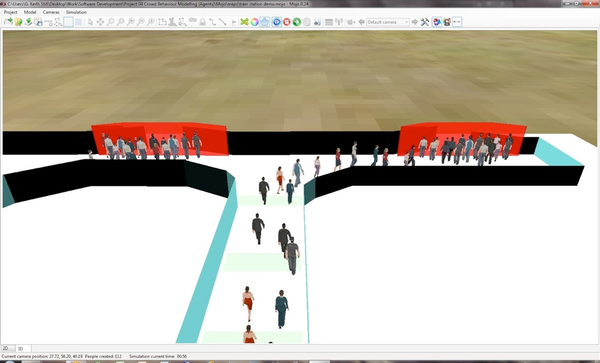 Value engineering (space utilisation -�optimisation of complex spaces for both safety and comfort) and risk analysis (how quickly and to what density will this crowd pack) are part of the current suite of tools. This agent based modelling tool uses a�complex voronoi�algorithm as a heuristic for the individual agent space navigation. This is a new principle developed in 2011 and now the core modelling algorithm for the latest tools.